A man arrested following a fight on a bus in Peterborough city centre has been released without charge. Officers were called to Bourges Boulevard near TK Maxx at 5pm yesterday (Wednesday) following reports of violence. There were reports of three men fighting, but when officers arrived one man had left the scene. 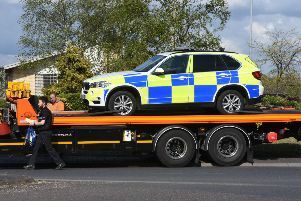 Yesterday a police spokesman said two men were arrested on suspicion of a public order offence, with one of the men receiving treatment in an ambulance which also attended the scene. Anyone with information should call Cambridgeshire police on 101.